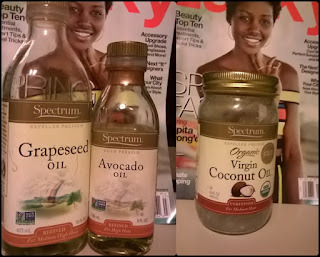 Anyway; since the beginning of my healthy hair journey I have use three different ways to deep condition my hair. Warming the conditioner before applying to my hair - This conditioning hack is great for the days when I don’t have the time for a conditioning cap or to set under a hair dryer. I just warm it above room temperature applied it to my hair put on a plastic cap and let me body heat do the rest. This is especially handy in the colder months when the conditioner is colder and needs extra time to warm up. I find this an efficient way for my hair to get the most out of a deep conditioner. Adding oils to boost the conditioner – This is my favorite way to condition my hair because I get to add the oils that will give my hair exactly what it needs. My favorite oil combination is coconut oil, avocado oil and grapeseed oil. Adding oils can make a great conditioner greater and a so-so one better, because the oils boost the effects of the conditioner for me. I have at times applied the conditioner and then layered on the oil or an oil mix. 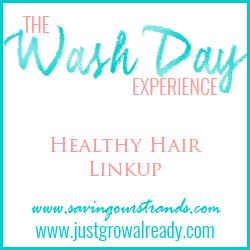 Following up with a rinse out conditioner -After a deep conditioning session with a protein heavy conditioner I normally follow up with a rinse out conditioner. The reason being is I want to make sure that the hair has the right moisture balance after the treatment. 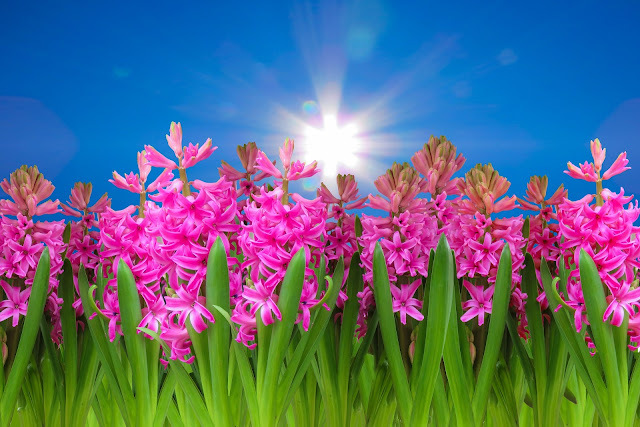 In the past I did not do a protein treatment regularly however, with me transitioning to natural it has become necessary. My favorite rinse out conditioners are Shea moisture 10 n 1 conditioner and L’Oréal total repair 5 damage erasing balm. I am very pleased with these method and is quite stoked that I have such great techniques in my arsenal. What are techniques you use for deep conditioning your hair? 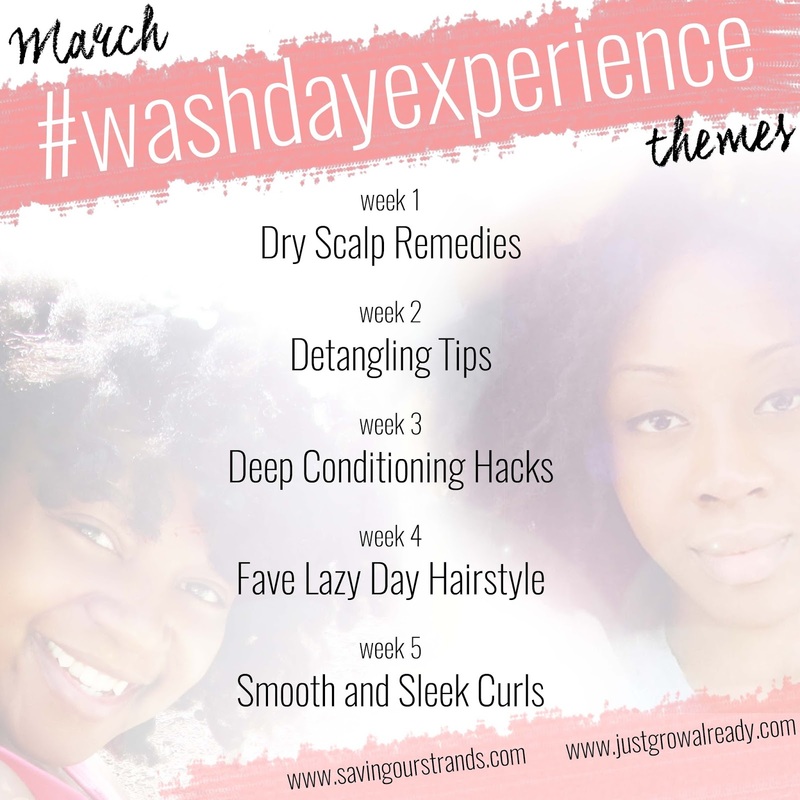 The ladies for the #washdayexperience have great tools and tips so come join us to had to you arsenal and to share your tips, tricks and hacks. I love adding oil and honey to my DC's it boosts the DC sessions. I never thought about adding honey, I will certainly give it a try. I love to add honey to my deep conditioner during the winter. It helps with the softness. I like the idea and will give it a try. 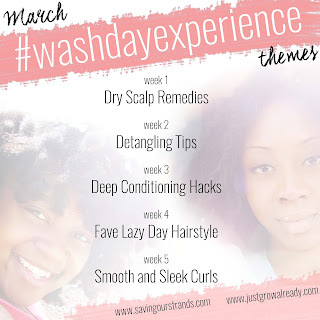 I love the idea of using a little more conditioner to rinse out your deep treatment. I think that I read about that technique on Ouidad's website but I haven't done it yet! I does work wonders; I will take a look at Ouidad's site and see which conditioner thry suggest.